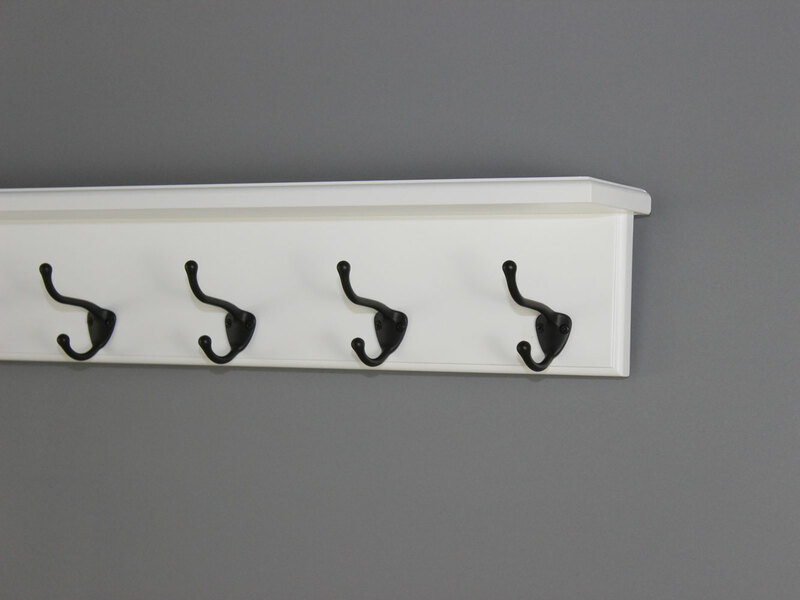 White Shelf Coat Rack - 4" or Optional 5" Top Shelf with "Hat and Coat Style Hooks"
The Hat and Coat style hooks are 1 1/4" wide and extend 3 1/4". traditional through hole with a matching button plug to cover the screw. Customer service was excellent and was extremely cooperative and helpful. Shipping was prompt. 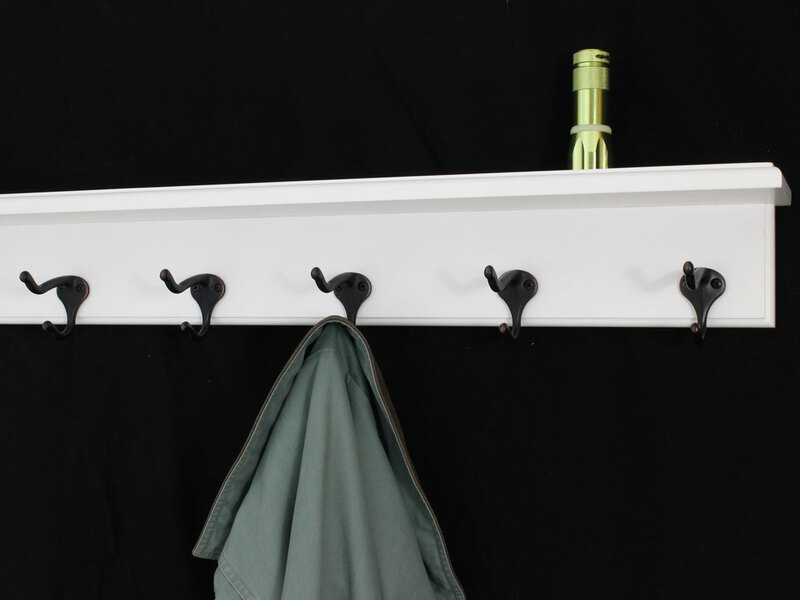 The white shelf coat rack is very well made, sturdy and elegant.Much nicer than a lot of racks you see online or find in big box stores. I love the hooks. I would definitely buy from Peg and Rail again. A nine inch shelf would not be possible with our design it would need some type of angle support bracket to give it enough strength as there would be to much leverage developed with the nine inch shelf. Also any miter cut like you are looking for would really need to be done on site to ensure a perfect joint (most if not all corners are not exactly 90 degrees) and then the act of installing one to one wall and the other to another wall will want to pull the miter apart. 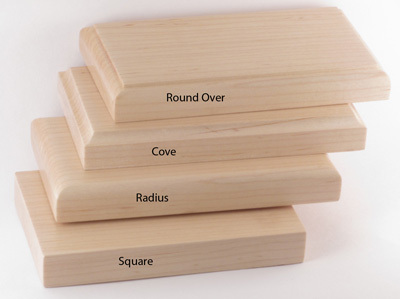 Actually if I was doing this in my house I would install it and then finish it to insure a perfect miter. 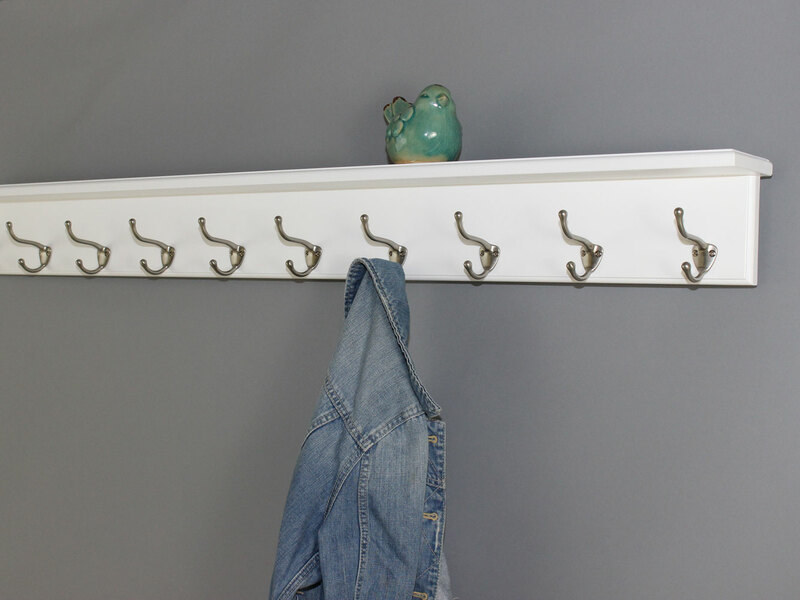 With a shelf that wide you may want to think about having a separate shelf and coat rack, it maybe a little awkward to try and hang up a coat if the shelf is to close to the hook. Every time that adorable little girl visits, she always asks where you put the snow globes she sent you from countries all over the world. See, she isn’t so little anymore. Your niece is 19 and she recently got back from visiting Europe and Asia, and she brought you three gorgeous globes from your favorite cities: London, Tuscany and Paris. You just don’t have a place to display them properly. This lovely, handcrafted product comes with everything you need, including a top shelf, perfect for your three little snow globes. 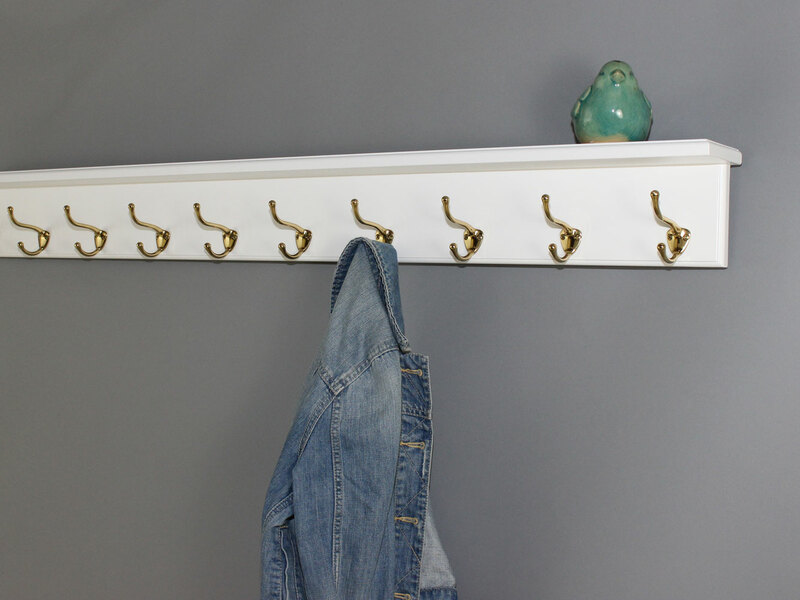 Beneath the shelf are hooks perfect for your coats or hats too. When your niece sends you more snow globes, you will have plenty of space to display them.